Future Focus has been providing video and web design services to the nonprofit community since 1997. Our goal has always been to provide the highest quality product and service in a timely and efficient manner utilizing methods and technology that maintain the lowest cost for our clients. Future Focus was the first third-party provider of planned giving web page content. While other providers utilize static content files, we have continued to offer a personalized product enabling our clients to edit and make the content their own. The Future Focus web pages and content are designed to quickly, economically, and seamlessly add a planned giving presence to your web site. Viewers are introduced to planned giving options through donor stories that illustrate the emotional rewards of philanthropy. 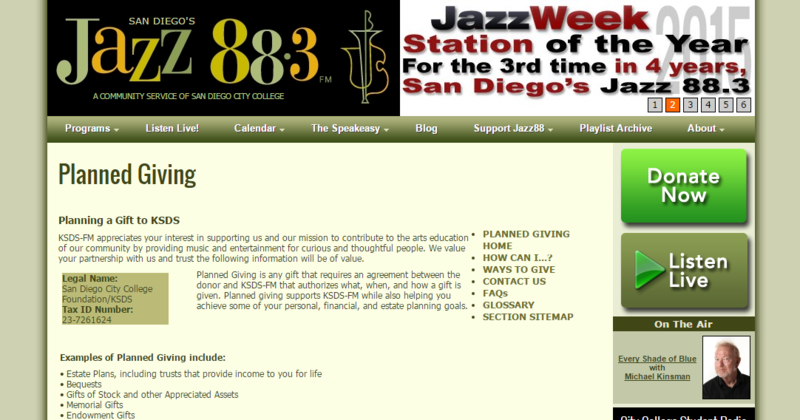 Our web content is organized to provide basic information for potential donors. We strongly believe organization/donor relationship is the key to planned giving and structure our approach to encourage early donor/organization contact and not repeat visits to the web pages. Future Focus does not contact or receive information about the web page viewers.